The Advitech Group is celebrating its 30th year of delivering science, technology, engineering, mathematics and manufacturing (STEM&M) solutions to industry locally, nationally and internationally. Supporting clients with the planning and development of next generation technologies has meant significant advancements in safety, environmental management and productivity outcomes for business. 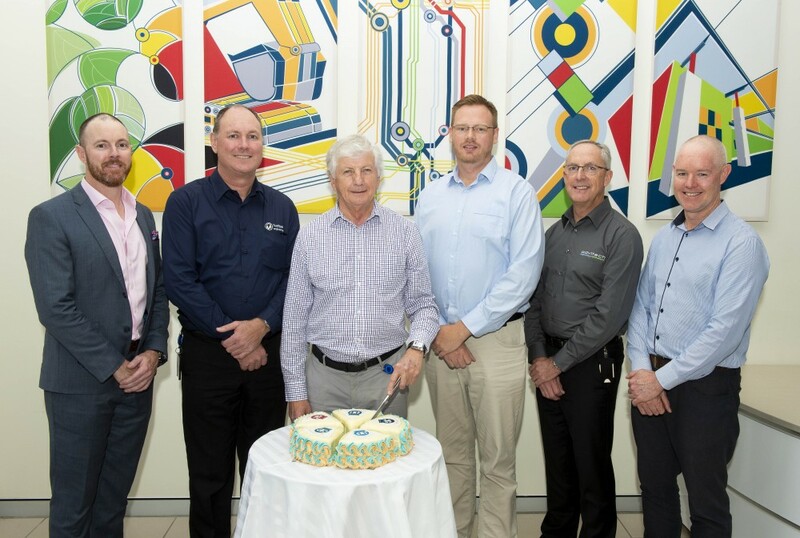 Advitech Group’s Executive Chairman, Larry Platt said the business has helped drive innovation and excellence across mining, manufacturing, construction, infrastructure, government and the arts and works to reduce workplace risk and safety incidents. “It’s remarkable how much has changed since 1988. We are very proud of the risk and safety work we have done for clients, potentially saving lives, reducing production downtime and minimising financial loss for business,” Larry said. With its beginnings in servicing local heavy industry, Advitech is now a collective of five complementary businesses – Advitech, Acubis, Hushpak, Novecom and Simulation Modelling Services (SMS). The businesses offer clients a breadth of expertise across engineering consulting, safety and risk assessments, environmental consulting, sensor-based data management, remote communication systems, noise control systems and simulation modelling technologies. “We decided to move beyond being strictly consulting, expanding sideways and vertically to include broader technical services and the manufacturing of niche products in complementary markets and the Advitech Group was born,” Larry said. The Group attributes its success to a client driven business model. “It was once sufficient to simply create and deliver a product,” Larry said. “We talk to our customers, understand their needs and challenges, then customise a solution, manufacture it, install it, maintain it and analyse the data output. The group’s team of specialists are focused on designing systems and technologies that are agile, adaptive and respond to client and industry needs. The Advitech Group continues to explore better ways of thinking and doing, providing the technical skills and resources required to make Australia the smarter country. Larry is also focused on making Newcastle a smarter city. In 2017, he was appointed to the City of Newcastle’s Smart and Innovative Cities Committee to help enhance Newcastle’s strategic local and global position. IMAGE | From left to right: General Manager of Acubis, Kerrin Connolly; Managing Director of Hushpak, Michael Neville; Executive Chairman of The Advitech Group, Larry Platt; Managing Director of SMS, Lucas Stretton; Managing Director of Advitech, Steven Smith; and Managing Director of Novecom, Jeremy Pola. The Advitech Group is a privately-owned Australian business driving excellence and innovation in the technical sciences for business and government. The group aspires to lead the way in STEM&M – science, technology, engineering, mathematics and manufacturing. With a focus on creating a strategic blend of technical-science expertise and commercial acumen, the team are able to match the demands of today’s dynamic marketplace. The Advitech Group believes in going beyond technical excellence to explore new and better ways.